Hubert Actually Proved that Camaraderie Among Runners Is Real! As ambitions go, 25-year-old Hubert Chen JiYong has set a lofty goal. 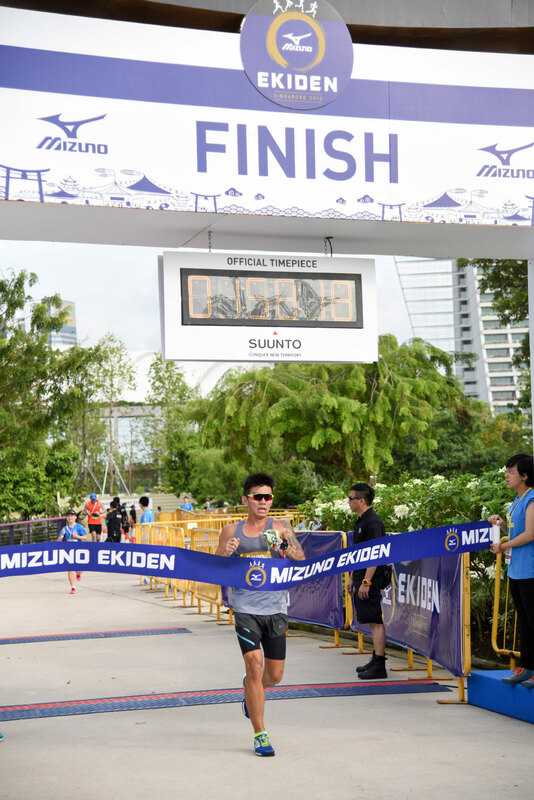 With the support of friends and family — and as a member of Singapore’s Running Department — he hopes to run a 3 hour full marathon sooner rather than later! 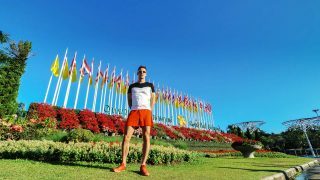 Can he do it at this year's Standard Chartered Marathon Singapore? Will he do it? This young trainer and athlete leans on his club comrades, friends and family members to support his hopes and dreams. Get to know him and chances are, you’ll start cheering for him to reach his goal, too. RS: When did you first start running? Hubert: I started in 2013 because I wanted to lose weight, but it didn’t take long for me to realise that losing weight wasn’t as important as improving my performance. What matters most to me is the satisfaction I get after every run; knowing that I’ve given my utmost effort. Whether it’s a race or a training session, I believe deeply that nobody should run if their mantra is, "Let's get this over and done with fast." 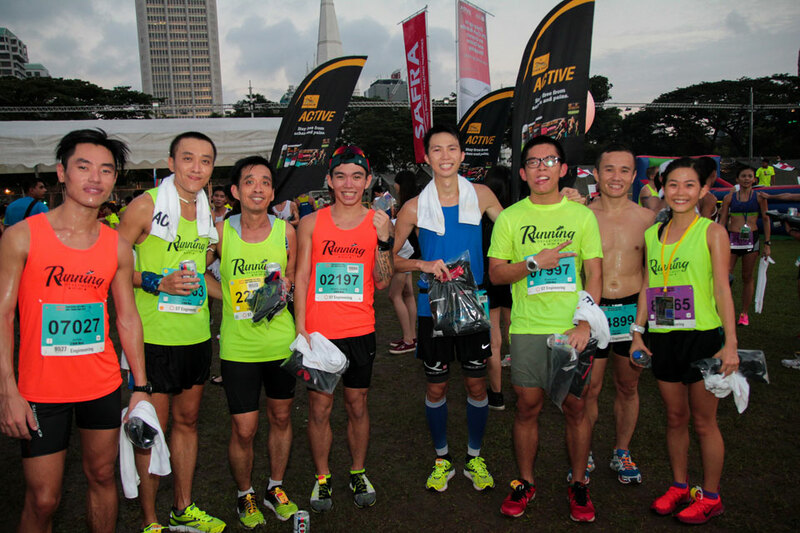 RS: You are a member of the famous running group in Singapore, Running Department. What's it like to be a part of that? Hubert: It’s great. Our no-frills, non-profit running community is committed to two runs a week on Wednesday and Saturday. On Wednesday, we run 8km to 10km through the heart of the city after meeting up at UOB Plaza, Raffles Place at 7pm. We appoint run leaders for different timing groups and our sessions include conditioning and cooling down. I didn’t join until 2014, yet I feel like part of this dynamic family. We take care of each other, exchange information and socialise. If you're looking for motivation and fun, you know where to find us! Hubert (4th from the left) with his Running Department's comrades. RS: What is your proudest accomplishment thus far? 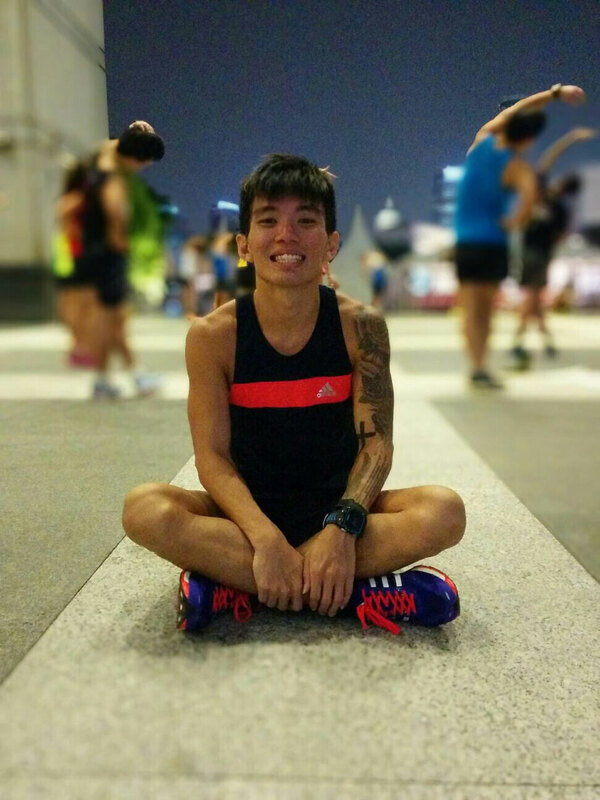 Hubert: Representing Running Department as a pacer at the 2014 Standard Chartered Marathon Singapore (SCMS)! I like giving back to the running community; helping passionate runners achieve their goals by bringing them across the finish line as they meet or surpass their personal best times. 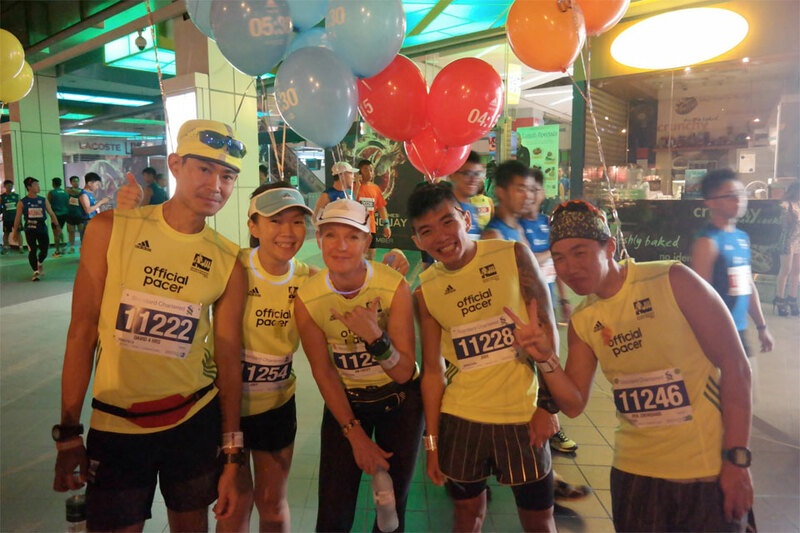 Hubert (2nd from right) with some other official pacers from Running Department for the SCMS 14. RS: Can you tell us about the best, most memorable race you’ve run? Hubert: It was my second marathon, the “2XU Compression Run 2014”. I met a guy named Calvin who had stopped around the 30 km mark. Despite having run 10 full marathons, he had hit a wall as he tried to achieve a sub-4 hour goal to surpass his personal best of 4 hours, 2 minutes. I said “Come on, Calvin, let's get your sub-4 hour!” Off we went. As we neared the 500m finish line, I hit my wall and slowed down. Calvin started shouting, “Find your energy; finish strong!” What an experience! We both finished with times of 3 hours, 42 minutes. I had no idea I could do that. Calvin truly showed me the running spirit that one can have. 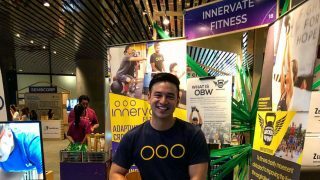 Also read: Yong Pei Lin: How Bokwa Fitness and Healthy Eating Changed Her Life Forever! RS: You certainly motivated Calvin. What motivates and drives you? Hubert: I’m always aiming to surpass my own limits and improve. 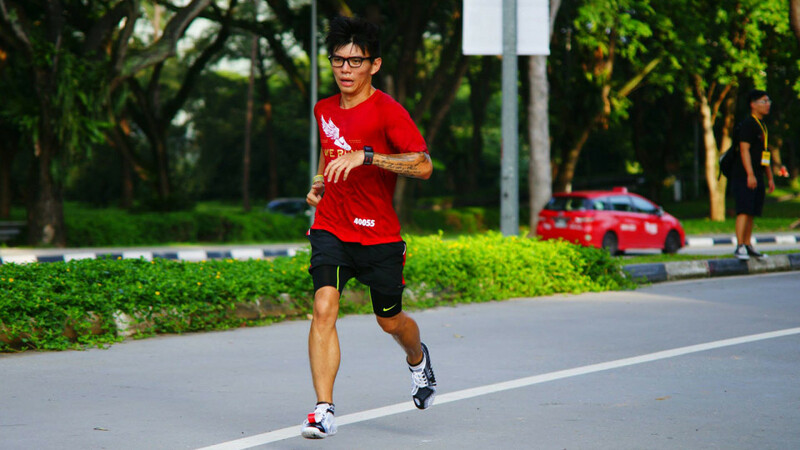 I am inspired and motivated by Singapore's elite runners like Mok Ying Ren, Melvin Wong and Derek Li. Watching them put so much effort into their training is motivation enough to push me into making my best effort, even if I can’t run as fast as they do. RS: As you approach the next SCMS, how will you prepare and train? Hubert: I follow an eight-week training program that consists of double running sessions daily so I’m in top condition. I also do interval training on Tuesdays and Thursdays, plus long distance runs on weekends, so I average between 120 km and 140 km weekly. RS: Can you divulge the goal and target you have set for the SCMS or is it a secret? Hubert: [holds up crossed fingers] Ideally, I hope to finish in 3 hours, 10 minutes; it would be amazing to reach that goal! Otherwise, I’m happy with 3 hours, 15 minutes. I’m keeping my fingers crossed that nothing goes wrong! RS: When it comes to running gear, what’s the one thing you can’t run the SCMS without? 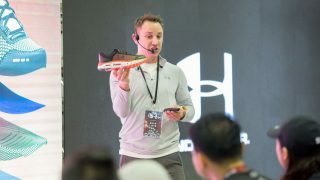 Hubert: My favourite pair of running shoes: Adidas Takumi Ren 3. It’s important to invest in running shoes that suit my running gait and hold my foot shape so I avoid injury. I’ve been training in these shoes in the run up to the race. I love how lightweight and comfortable they feel on my feet. RS: We hear you want to qualify for the Boston Marathon? If so, will you train for it differently than the SCMS? Hubert: Not really. Every race is a reflection of a runner’s current state and capabilities, so whether I’m preparing for the Boston Marathon or the SCMS, I strive to stay consistent. Every runner must manage his pace, nutrition and hydration intake and mental tolerance levels. It’s the experience of running marathons that matters the most, not the name or where it’s held. RS: As a trainer, what advice do you give new runners who want to run full marathons? Hubert: I cannot stress enough the need to dedicate plenty time to training so a runner builds endurance. I may suggest undertaking a half marathon before tackling a full marathon to get a feel for the experience. Above all, last minute conditioning and training efforts do not work! Hubert: I had only been running for six months when I attempted an ultra-marathon! RS: If the day came when you could run no longer, what would you do? Hubert: I hope that never happens, but if it does, I would likely switch to sports like cycling or swimming. RS: For what are you most grateful? Hubert: The people in my life, especially my family and friends. I used to be very stubborn and focus only on speed work. I ended up injured and couldn’t run for months. But thanks to support and advice from my family and friends, I learned my lesson and now I train properly to stay injury-free. RS: What's the most surprising lesson you've learned from running marathons? Hubert: That I shouldn't wait for my body to tell me that I’m thirsty. By that time, runners may already be dehydrated or sodium deficient. I hydrate at every opportunity and I also consume gels. RS: As 2015 comes to an end, what are your goals for 2016? Hubert: I hope to qualify for the Boston Marathon and run a full marathon in 3 hours. Does the story of Hubert encountering Calvin strike a chord with you? Have you ever inspired and motivated someone else to push past his or her wall? Tell us about it. 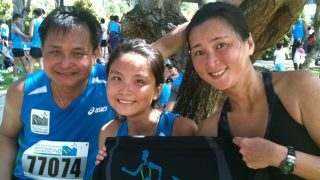 Hubert will be running the full marathon in the Standard Chartered Marathon Singapore this weekend. If you hit your wall during the marathon, Hubert might just appear to motivate you. Just keep a lookout for his distinctive left arm tattoos.